Just as the 2015 GAA football & hurling championship gets under way, many of you are asking us for ways to get around the RTÉ geo-block. You want to watch GAA online, and here are a few ways that you can go about doing that. If you know of any other ways of watching RTÉ or GAA online let us know in the comments! There are of course legal ways of getting access to GAA games outside Ireland with GAAGO (https://gaago.rte.ie/). This is a pay-per-view service that gives you access to individual games for €10 per game or €160 (or €100 if you are in the UK) for the season pass. With the season pass you get access to all GAA Championship and League matches as televised in Ireland plus selected Club, U21 and Minor fixtures. In all they promise over 100 games. Our first recommendation would be to pay for the service. In previous years we have heard reports that there was some issues with the service breaking down, but as far as we know the service is now more mature in it’s 2nd year of operation. 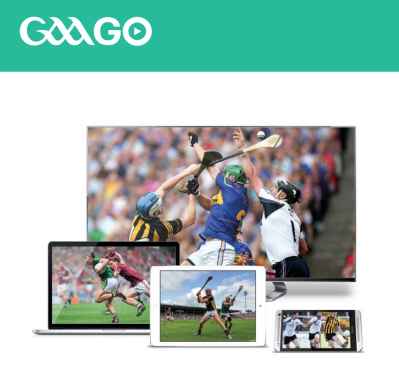 GAAGo uses the same system as the RTÉ Player to stream the games, and the quality of the stream depends on your connection. Hola.org is a browser plugin that works with your browser to extend it’s functionality. It’s a FREE service that allows you to view websites as if you are in other countries. Once you install the plugin you activate it and then browse the internet as normal. 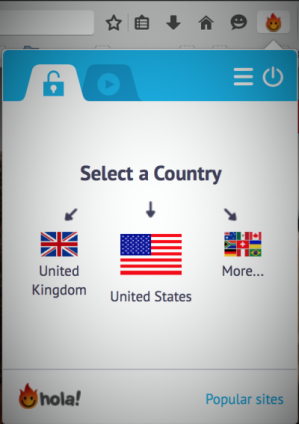 When you come to a website that has a geo-restriction block on it you will be given the option to pick a country where you would like to browse from. There is also an option to give feedback if the unlocking was unsuccessful. It will then try a new route to unblocking the content. As far as we can see their technology sends your request to Ireland and then the unlocked content is requested there on your behalf. We assume they use other browsers on the networks to get around the geo-block detection system. This makes it very hard for services to block Hola, as it’s a distributed network of people unlocking access for other users. “The Internet is slowed down by server response times, Internet congestion, round trip times, and poorly written communication stacks in operating systems. Hola removes these bottlenecks by securely caching content on peers as they view it, and later serving it up to other nearby peers as they need it. Hola also compresses communication between peers to further speed the net. The Hola browser does have the ability to change the content of the page you see in the browser. For this reason we are always a bit skeptical whether its 100% safe or not, although they do mention that they have over 46 million people using their service. We recommend that you install Hola in a 2nd browser, and reserve that for unblocking websites. Note : a recent piece from fortune.com about Hola.org, where they mention that Hola uses your internet connection as a sort of private VPN for other users. In true Peer-2-Peer network fashion, your internet connection is shared. You don’t have any say with what goes through your connection, so you should really be aware of this before you use Hola. 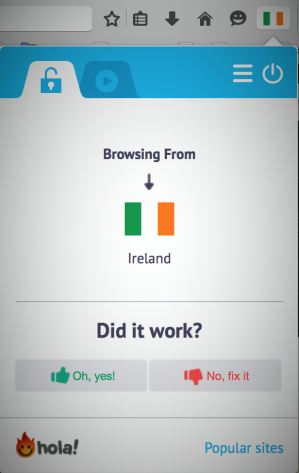 11 Responses to "Watching GAA on RTÉ"
So is Hola.org safe to use ? I just read this : http://fortune.com/2015/05/29/hola-luminati-vpn/ I mean you don’t know what they are doing with your internet connection, and I wonder could it be used for a crime that could get me in trouble. Also is it active when it’s not open ? Hi Jack, thanks for the link there we’ve added this information to the site. To be honest I don’t know if its in use when you are not using it, but I doubt. And yes you could be in trouble if a crime was perpetrated with your IP address. Hey Paul, what’s the craic? Hit the wall with smartdns and the RTE player last week, and even upgraded to their VPN with no luck. Ended up going with the hola thing for the time being (had to watch the Ireland v Scotland game), despite its dodgy reputation. It’s on a spare laptop on a browser with nothing logged in, and will only be used as necessary. I tried hola a couple of years, and while it seemed to work, I was suspicious of it ultimately uninstalled it. Seems like my only option right now. Damn those RTE developers. Hey Stephen, RTÉ are now actively detecting and blocking all systems I’ve come across. Right the only way I know is Hola.org, but as you pointed out it has some potentially dodgy features. I have been using hola to watch GAA games from Ireland. But overtime I get into the player these days it says there is no content. Getting Error #2032 for non-international content on RTÉ Player despite using Hola to change my IP Address to Ireland. This only happens for non-international content, the rest plays without a problem. This is reproducible in Chrome and Firefox and does not seems to be associated with the flash player as the error would suggest. Have RTÉ developers found a way to detect the Hola extension? This seems unlikely as no other Player (Channel4, ITV, BBC) have managed to achieve this? It’s possible they’ve figured out a way. As far as I can see, there is a third party site that fails to load properly, so that’s probably running some type of check. having exact same problem as michael foley. Out of curiosity, does your cousin use Hola or do they subscribe to a another proxy server provider? Reading more info on Hola I have decided to remove it in any case due to security issues surrounding it. Hola hasn’t been working for me for some time now. It might be related to the fact I had also been using my smartDNS around the same time. I’m impressed, and annoyed, that the RTE people have managed to stop people from outside the country from accessing their services. Maybe it’s time to move back home. I found some streams online, that were showing sky sports last weekend on usagoals.com. They had the Dublin Mayo game on it. It was pretty bad quality but better than paying €14 to watch it.